At Valecraft, we understand that choosing the right neighbourhood for your new home is important to you. You want to find a location with access to the highway, main roads and public transit stops, a variety of amenities, restaurants, and entertainment options for convenient shopping and fun outings, as well as easy access to nature to be able to enjoy the beautiful green space that makes Ottawa so special. Valecraft Homes’ Cardinal Trail community in Orleans provides all of these things and more. We are excited to be returning to the Cardinal Trail community in Orleans to continue creating quality townhomes for young and growing families to start putting down roots and making memories. Located in Chapel Hill South, Orleans, with close access to Orléans Blvd and Innes Road, Valecraft Homes has now released 28 new townhomes for sale in the Cardinal Trail community. The Cardinal Trail community features 7 different, but equally beautiful, townhome models, each with a modern floorplan designed for form and function. With a wide selection of schools, shopping centers, places of worship, convenient transit stops, restaurants, entertainment options and much more, the Cardinal Trail community offers great options for new homes in Orleans. Valecraft Homes’ Cardinal Trails community is positioned in a convenient and popular location in Ottawa for young families and those looking to downsize – there’s something for everyone! For young adults and new families, Cardinal Trails offers beautiful, spacious townhomes at attractive price points. Alternatively, for past homeowners looking to downsize, Cardinal Trails offers the high-quality homes you are seeking with less maintenance than a detached home. Cardinal Trails offers a pleasant lifestyle for everyone, with a wide variety of amenities within just a short walk or drive, including restaurants, stores and shopping centers, and entertainment. Close to Valin Street and Trim Road, the Cardinal Trail community is only footsteps away from beautiful nature spots, such as Glandriel Park and Cardinal Creek Community Park. 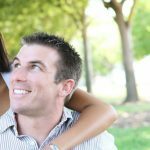 These areas are perfect for bicycling, family time at playgrounds and picnic areas and your daily walks with the dog. This area of Orleans is also home to a wide variety of entertainment options for the whole family to enjoy, including Place D’Orleans, St-Joseph (“The Heart of Orleans”), Landmark Cinemas, and the Shenkman Arts Centre, which provides an ongoing roster of dynamic performances, as well as art classes and camps for youth. Orleans also hosts a wide selection of restaurants, including the acclaimed Occo Kitchen, St. Martha’s Brasserie d’Orleans, the Delicious Steak House, and more. With a wide selection of schools and community centres in the area, the Cardinal Trail community provides convenience and a quality lifestyle for families. There are several schools in the area for children ranging from preschool to high school in each of Ottawa’s major school boards. Orleans is home to Jeanne-Sauvé, Maple Ridge Elementary School, école secondaire publique Gisèle-Lalonde, École secondaire catholique Béatrice-Desloges, as well as St. Peter Catholic High School, Sir Wilfrid Laurier Secondary School, and more. This area also conveniently features various community centres including the Orléans-Cumberland Community Resource Centre, the Bob MacQuarrie Recreation Complex, and more. These centres provide after-school activities, classes and other learning opportunities for the whole family. If your children are into outdoor sports and playing on play structures, then they will love the Cumberland Millennium Sports Park, a mere three-minute drive. 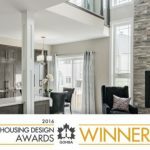 Orleans’ Cardinal Trail community is home to Valecraft’s award-winning Bassett townhome, which won the 2016 GOHBA Awards for Best Townhome in Ottawa. The Bassett townhome is a luxurious, high-quality end unit townhouse that offers a generous 2354 square feet of living space. This spacious home features stunning 17-foot ceilings in the great room, 4 spacious bedrooms, 2.5 bathrooms, a 2-car garage, and a 471 square-foot finished basement. The Bassett is a truly unique townhome in every regard. Cardinal Trail also features our other beautiful townhome designs, including The Thomas, The Lewis, The Stanley, The Huntley, and more. With so many townhomes to choose from, we are confident you will find your Orleans dream home in Valecraft Homes’ Cardinal Trail community. Browse Valecraft Homes’ townhome models available in Cardinal Trail. Visit The Bassett model home and sales centre at 596 Pin Rouge Way, Orleans, ON. At Valecraft Homes, we care about you and your family like we care about our own and as our customer, your family’s needs are our number one priority. Valecraft Homes continues to strive for excellence in every regard, designing modern and industry-leading homes and providing top customer service. As part of this dedication to client satisfaction, Valecraft Homes has never missed a closing date and you can depend on us to deliver your beautiful home on schedule, ready for you and your family to enjoy. Valecraft Homes is currently building new homes in some of Ottawa’s best and most sought-after communities in Ottawa, including Bradley Estates in Orleans, Aviation Private in Central East Ottawa, Place St. Thomas in Embrun (Prescott Russell), Woodroffe Lofts in Barrhaven, and the new community of Rathwell Landing in Stittsville. From townhomes, condos, terrace homes, bungalows, rear lane townhomes, and single homes, Valecraft Homes are built for function and aesthetics, providing the perfect home for your family to grow. Register to stay up-to-date on the Cardinal Trail community developments or contact us for more information about new model homes in Ottawa! View the Cardinal Trail site map. The lots for the models: The Bassett and The Mann have been pre-determined.